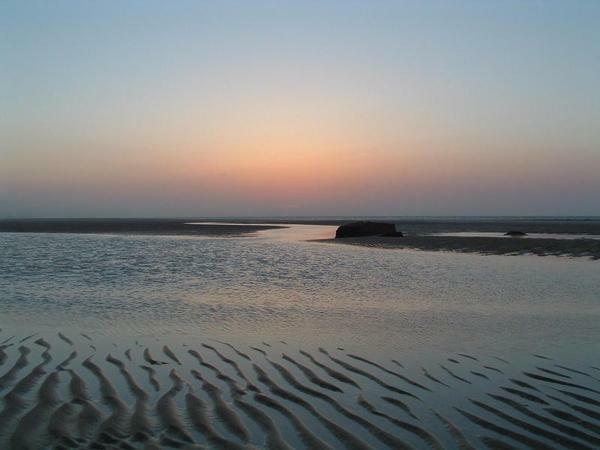 Beach sand pale against the sky……. As their wavering arms sung to nature……. When you think of August, what stands out about it from the other summer months? For me, It is the waning of summer as those first whispers of Autumn approach in the wind. Is it those cool mornings and memories from long ago of August nights filled with the anticipation of going back to college?, Seeing good friends you felt like you knew forever, or back to high school to make it through another year and raise hell. And the first tinted change on the crowns of the sugar maples against the sky with the lowering sun angel at the end of the month giving clouds in the east an almost purple look. A flag if you will, that Fall is awakening. Letting summer go once more. That is August to me. Today was an interesting weather day in Eastern Massachusetts. This summer has been a rather average one in temperature and precipitation which masks some very violent weather events. The tornado in Revere, Massachusetts just to the North of Boston by mere miles, destroyed 65 buildings and was a rain wrapped tornado last week. Somehow nobody was killed. Rain wrapped means essentially that nobody could see it as it looked like a wall of rain with an ever so slight swirl. Yet not a swirl for one to jump to the conclusion of the reality coming towards you. Think of that for a moment. Many of us are used to images of those “classic” Kansas Twisters which are usually dry storms and you can see the dark swirling nightmarish fear coming straight for you. Not in this case. The terror is might as well be a stalker of the night. Rain wrapped tornadoes are just about the only kind we ever see in New England and we don’t see many of those. Massachusetts averages only 2 tornadoes a year. Which on a side note makes July 2014 quite interesting in this regard: Massachusetts had two tornadoes…Kansas….zero. Yes. Count how many years that happens. I was fortunate/unfortunate enough to experience a tornado on July 10, 1989 in the town I grew up in. The warning we had was a Severe Thunderstorm Watch issued by the National Weather Service (in no way discrediting them to their excellence) and ominous clouds to the west. Around 4 o’clock the streetlights came on. The sky was a quiet eerie purple. Suddenly a wall of water and wind bashed the town in a instant of absolute chaos. As soon as it had come it had ceased. Left behind ripped off roofs, numerous felled trees, a powerless night, and shock. Luckily, nobody was killed. It was an experience I shall never forget. As promised, I did digress. Let me bring you back to the point stated at the beginning of this summery blog. Today was an interesting weather day in Eastern Massachusetts. Why? Due to a large cold pool of air in the atmosphere high over New England, combined with the heating of an early August sun, thunderstorms were very likely. This is a classic setup for hail as air forced upwards condenses in the cold, gains mass, and falls to earth as hail. The higher up the air is forced, the larger the stones. On the west side of the town where I was at the time when the storm commenced, it rained as hard as I had seen it rain all year. Towers of dark clouds screaming warning to any who turned their eyes northwest unleashed a torrent of rain. And Hail. 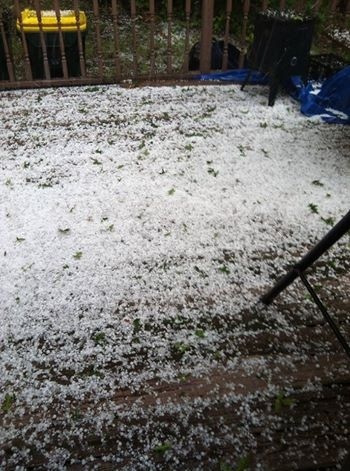 Lots of Hail. But not where I was. Just to my east. Only 1 mile east of me the heavy rain was accompanied with nickel sized hail. I discovered this only after the storm. At first I noticed leaves scattered about covering the roads and sidewalks. Then the hail. It covered the ground as snow. It had looked like some random dream I could have manufactured. Walking in a summery, forested town while trudging through an impossible winter. It was nearly that. Arriving home I discovered the tragedy. On the back deck, covered in leaves and with hail STILL on the ground from 3 hours prior, were the tattered remains of flowers in pots put out only yesterday. A beautiful Azalea looked as if it had been cut by shears. An African Violet actually knocked off and broken completely. I was late this year in putting out flowers. I suppose I should have been one more day late? The Geraniums are still coming this weekend and the weather will always be a blooming passion regardless of season. Such is the weather. Such is the Universe. Is there any more beautiful way your face should glisten? But of course you would…..
That one more of us perhaps…. The passing of an Angel against a cascade of rain from the heavens. 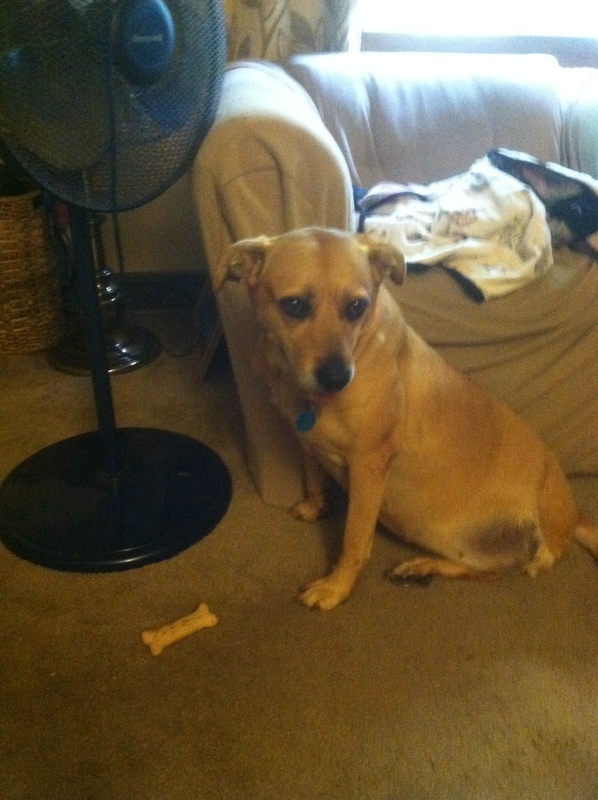 On July 4, 2014 while the heavy rain poured from the sky we lost our beloved dog Meka. She succumbed from the cancer which cruelly ravaged her. She was 11 years old. She was my wife’s dog. I say that because my wife literally had only her jeep and her 6 month old dog Meka when she drove from California to Massachusetts in 2004. We met in May of 2005. 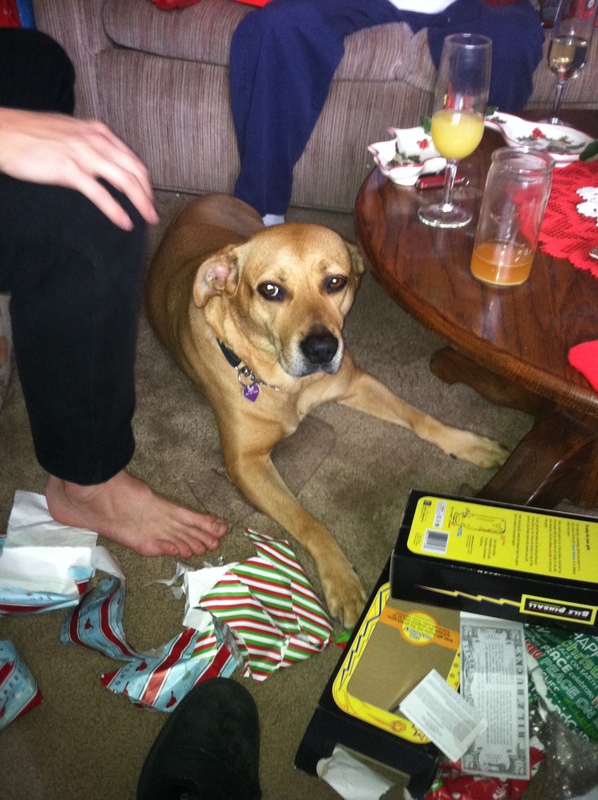 Meka was a Rhodesian Ridge-back/Yellow Lab mix. My father in law took her on a 30 minute walk every night. When I say “every night” I mean it. Nor’ Blizzard, Nor’ evening after a Hurricane, -10 Fahrenheit temperatures or a holiday, she went. She lived for it. Never ceasing her absolute excitement when the sun began to set and she looked at one of us to say “Are you ready yet?”. We were always ready Meka…. because you were the best. 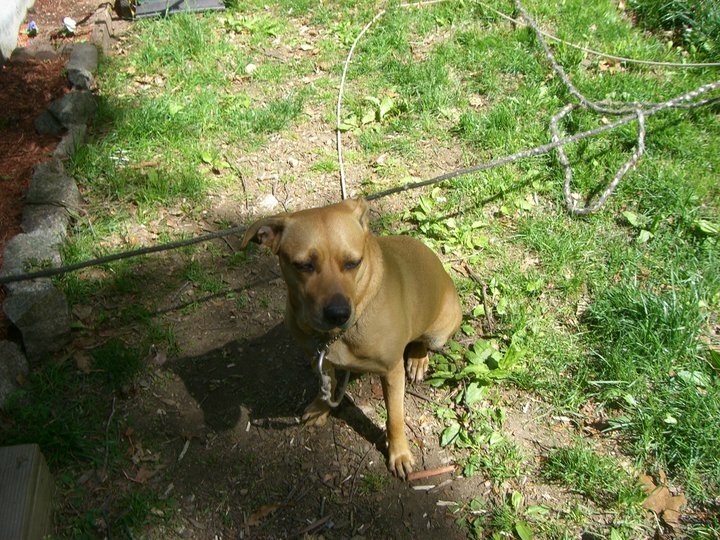 Meka’s personality was one of efficient watch dog, companion that chased away any creeping loneliness, benevolent attitude to mild teasing : ), loyal to put any human to shame, and had the same force as loving as the embrace of your truest love. At 10:00 pm July 3rd, 2014 I took Meka for a walk. It was a windy, humid night as the fresh southwest winds ahead of an approaching Hurricane on the horizon screamed as if a beacon. Lightning from a distant violent thunderstorm ten miles to our north danced. Raindrops fell in slight company 5 minutes into that walk as I looked at Meka asking her “Do you want to go home?”. She pulled ahead to continue. No fear from this beautiful animal. She took it all in. The swaying of the maple tree leaves rustling in the invisible air currents. The smell of green grass from the elevated moisture in the air. The quiet street on a summer night. A perfect summer night. A night when approaching storms yield to the bond of a human and a pet. The calm before the real storm. Just Meka and I. There is suspicion we both knew the significance. Less than 1 hr later she lost the ability to walk and was crawling. She was attacking her leg sensing something was terribly wrong.. She looked at me as I tried to comfort her with the sense of “I know it is time”…..”I’m hurting”. 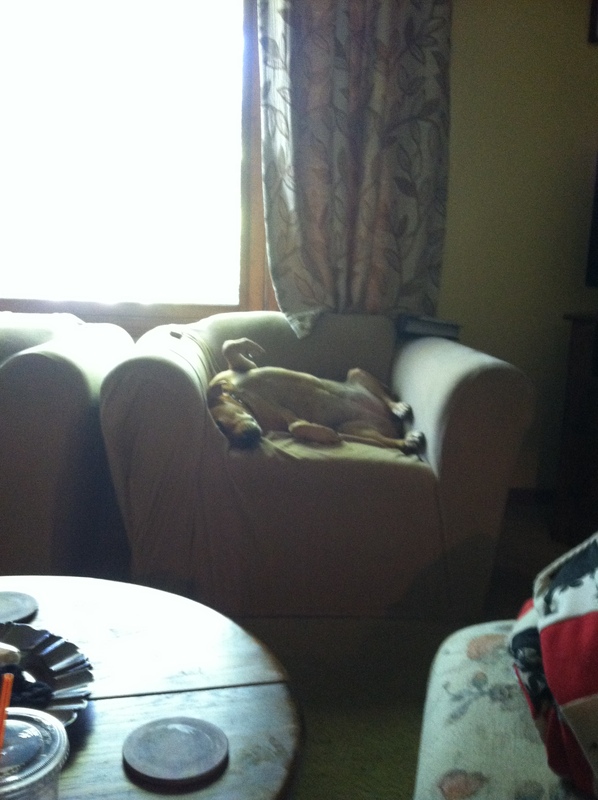 We made her as comfortable as possible. Later in the morning she passed away at a local esteemed hospital for pets which had treated her cancer so very well until nothing more could be done. We held on to her collar as we exited the building into a torrential rain. The storm was here. The damage had been done. Cease your presence for my heart cannot bear it anymore. That is what I was thinking as a feeling of horrible shock came over me. I was rigid. A statue that could cry. The haunting echoing ring of her tags, the faint smell of her scent……. and the setting sun remind me of her. Along with a litany of other memories. She was my wife’s dog, but she came to be loved by everyone in their own special way. 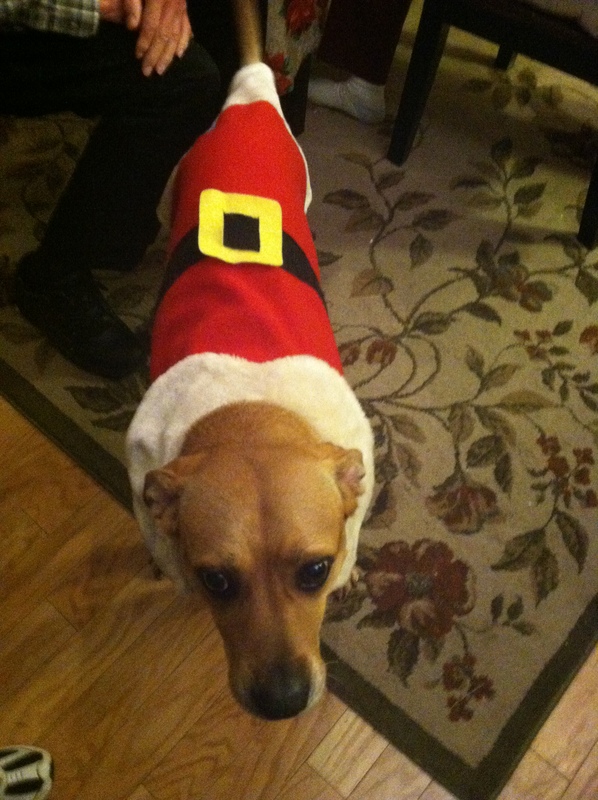 She was a dog that was festive. 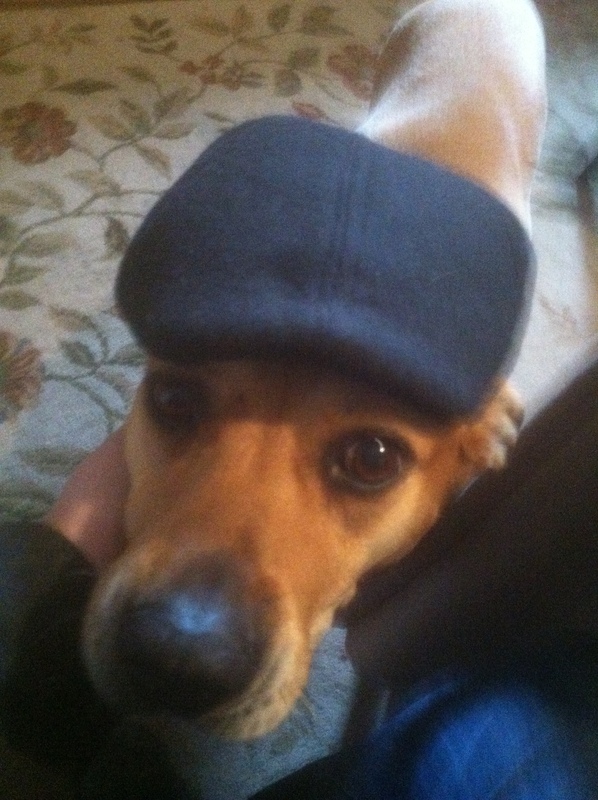 Some folks dress their dogs against their will. Meka loved it. She almost wanted to show off. 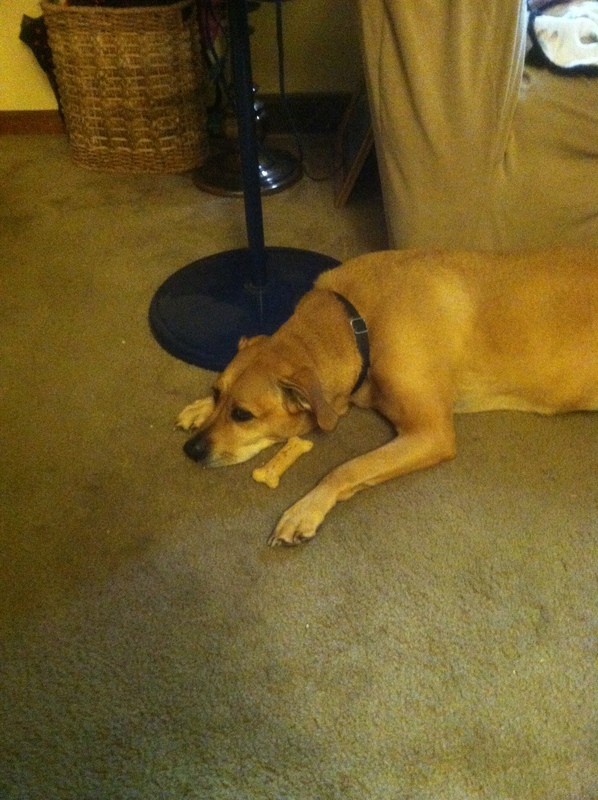 Whenever we took off her collar, she would wait eagerly until we put it back on. She was a dog who knew who she was and understood us perhaps better than we knew her. I find myself haunted by two skies. The sunny, sapphire blue serine peace of her running under a gentle sun. I find myself battered by the other sky. A cold wind of rain like tears as the trauma I witnessed in her final moments is burned into my brain like some synaptic branding. Sandblasting me like sand on a beach in a Nor’easter. No need for Rain. I can provide the tears adequately. I know this is part of the “process”, but I do not have to like it. And I despise it. Cancer has taken too many loved ones, no matter what species. I had a dog for 16 years growing up. She was put to sleep in September of 1999 after her kidneys were failing. The hollow, nausea of death of a loved one ate at me then. As unexpected and unprecedented as a July hurricane in New England, I did not see the intense emotional anguish coming. That may be silly to say, but I did not adequately understand how much she meant to me. I suppose this is a poignant lesson that it is not the amount of time spent with anyone that matters, but how much we get out of that time. The value of the moments spent happy rather than idle. The carefree days. The endless summer. The honesty and good times with no agenda. Free as we all should be. I see the anguish in my wife’s face. I hear the sadness in my father and mother in law’s voice. I see her everywhere. Look at a bright light, then look away. The afterimage is there. I see her everywhere……Yesterday upon awaking I called out her name, forgetting for a brief moment she was not of this world any longer. I might as well have ripped my heart from my chest. Meka, you were a gift in my life. You meant the world to my wife and my close family members. You showed me that I could love a dog just as much as my childhood pet of 16 years. You showed me kindness, innocent play, licks to the face, and many hints of the tender perfection you were when the slightest of eye contact conveyed meaning. I love you, and I will miss you. The limitations of written language finds its barriers in times like these. How dear you were, my friend. Time will proceed, but your memory will forever…… live on. Your faithful…without judgement…eternal friend. Your obedient servant. 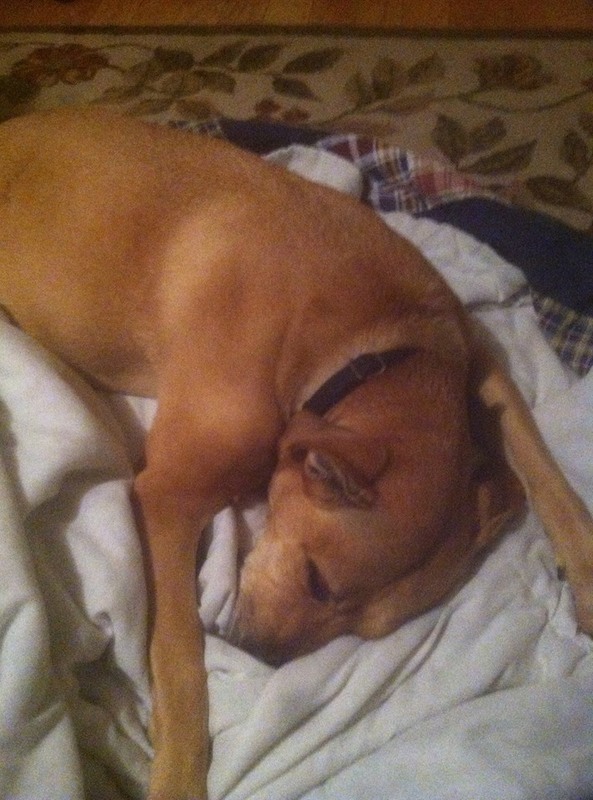 Resting peacefully on her blanket in May 2014. You will always be in the summer sun, for that is the warmth you gave to us all. That is how you made us feel. You were 11 years of summer. You are not to be replaced, for how can one replace a season? The one who called your name followed by a hug. 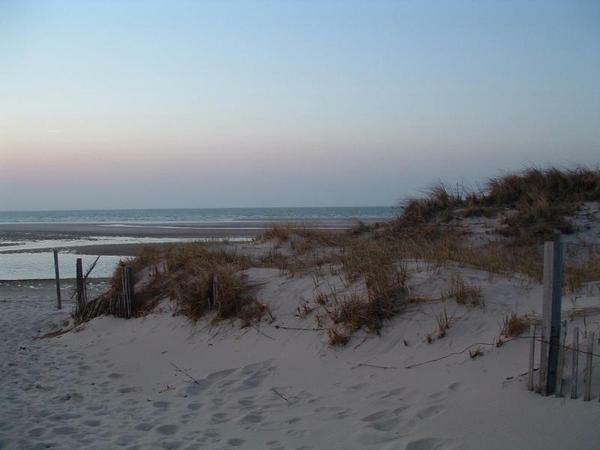 Cape Cod is an elbow of sand. A gift from the last glaciation 15,000 years ago. 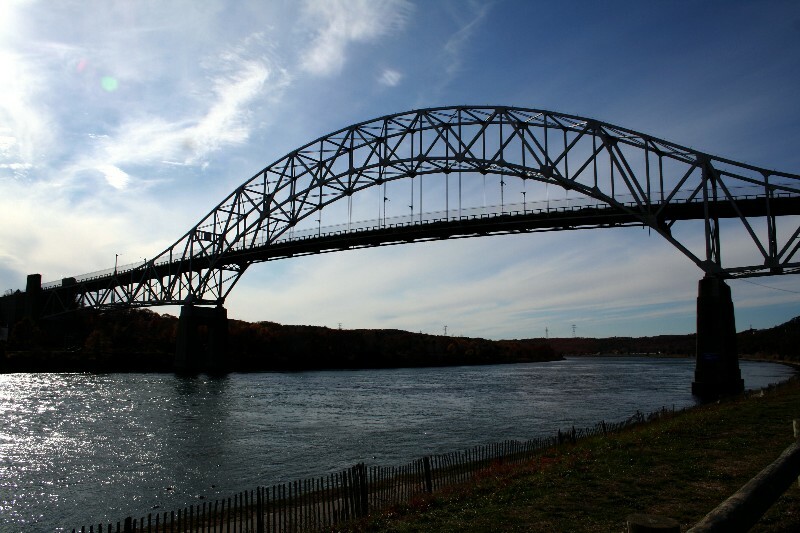 It is a part of the very wonderful area of the United States known as New England, jutting out into the ocean as part of the Commonwealth of Massachusetts. It is a place by itself a wonder, yet at the same time containing distinct areas of itself which are polar opposites. It is one of my favorite places I have ever seen. Why? I have found only a few places I have visited so far in my life where the emotional connection combined with the serene feeling that I was somehow “home”… Which of these two images do you prefer? 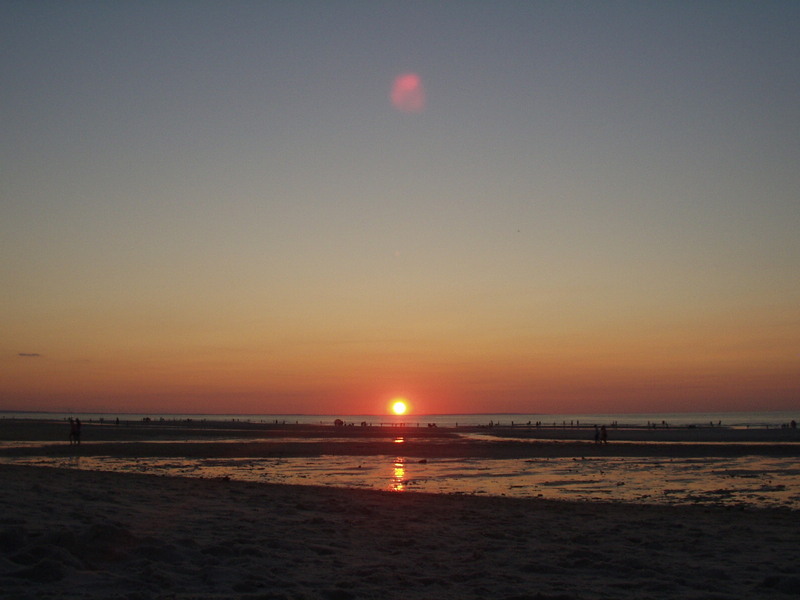 They were taken at the exact same spot on Chapin Beach in Dennis, Cape Cod, Massachusetts. Winter fades to Spring which turns to Summer as the land comes alive in the process. In these two images are why I love New England. The arctic looking frozen beach to a warm July evening. Every season has its beauty and the balance is stunning. Each season is nature’s way. Cape Cod is special. You arrive down Route 3 or perhaps Interstate 25 from 495. 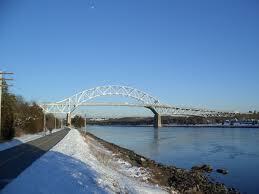 You then cross one of the towering bridges over the Cape Cod Canal. Monuments they are. They are reminding you that you may still be in Massachusetts after you cross, but your state of mind will be of something which you can find nowhere else. Cape Cod has many distinct areas. 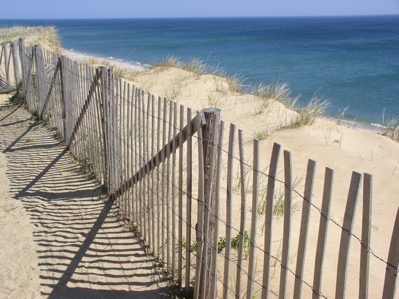 Moving from West to East then North…There is relaxing Falmouth,the bustle of Hyannis and the Kennedy History……the peaceful charm of old Cape Cod in the Dennis and Brewster area to the wealthy town of Chatham at the elbow of the Cape. The Cape then ends at Provincetown. It is a world within many worlds and of itself. You sit in an Atlantic Ocean deluge of contentedness. Perhaps in a chair along the beach or small restaurant. You gaze out at the glimmering blue in the brilliant summer Sun. The breeze is New England’s natural air conditioner, sheltering it from the intense heat of other areas of the country. Provincetown is a wind of its own. Tolerant, respectful. accepting, relaxing. These feelings prevalent on its narrow streets and closely built houses older than many states. So is the Cape a favorite place of mine? Yes. However, there is one area that to me, is where the heart of the Cape beats the strongest, and you feel so alive. It is Dennis, Mass. More exact, West Dennis. Why? My family went to the Cape every summer, as my grandparents started doing in the 1950s. At the same rented 2 story house a quarter mile away from the dunes of Chapin Beach. The ground felt different. The air smelled different. The trees were different. The world moved slower. The roar of the Ocean nearby. This was, and still is, Dennis, Mass. The place where sunsets are a starburst of color, as the waning day of July seems like an Endless Summer Night (Thanks Richard Marx circa 1988). I began to walk towards the ocean. On the hot blacktop in bare feet on a warm July afternoon. The road wrapped in serenity descended gently to the sand dunes, leading to my anticipation. I wanted the waves to hit me for the sake of being alive. I was swift in descending down the road by white picket fences, pine trees, and a maple mitigated in its growth by the proximity to the salty air and marginal soil. Regardless, my concern lay beyond the dunes. A slight breeze kissed my soul as I neared the dune and the compelling drive for more led my eyes to the blue goddess spanning the horizon. The beach sand, glimmering like little stars. set against the sapphire blue of the sky. Piercing my reality with expansion. The knowing that there is more out there. There are places to see. And sometimes, you swear these places were you and me. I hope anyone of you reading has a place like this on our very special planet. One we must take care of. The picture above is that of White Ash bark. Do you think of trees? If so, do you know what species are native to your climate zone? How about non native? I have a great interest in trees. I assume it stems (um, ha ha) from my love of nature in general. 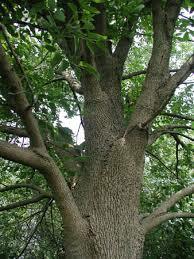 The White Ash tree is native to eastern North America. They are lovely trees. Tall, with a beautiful crown, and set ablaze by early October in a sea of rustling reds, poignant purple and awesome orange. They are also in trouble. The emerald ash borer, an insect non native to the United States, is currently working its way up the Appalachians. It has now made it as far north as western Massachusetts in the Berkshire Mountains. This is a tragedy because they kill Ash Trees. A very large percentage of New England forests are Ash, and the decimation foreseen is akin to that of Dutch Elm Disease which killed off most Elm trees. 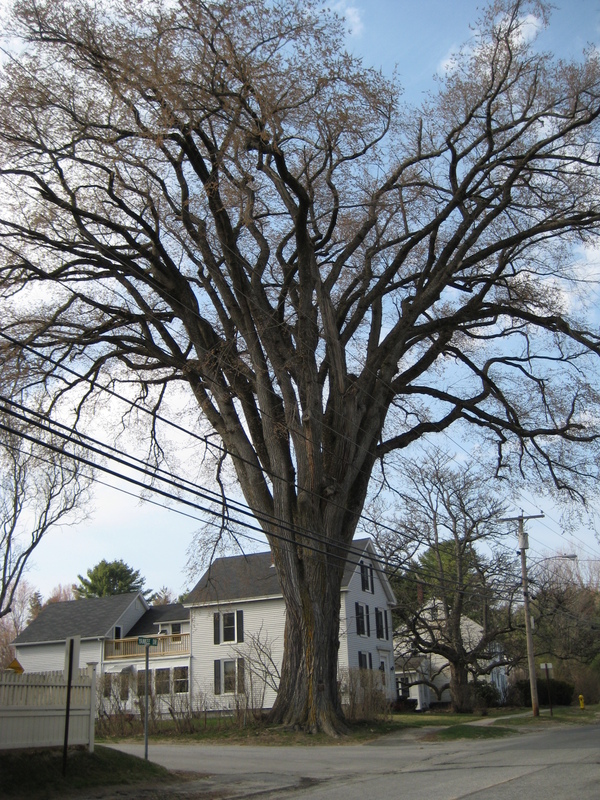 The Elm is still the state tree of Massachusetts, but you would look hard to find one. They still survive with their very long lived extensive underground root system which will shoot up a new tree in the forest, and it will do well until about 5-7 years old. That is when the Dutch Elm Disease takes over. It causes the expanding bark to split, killing the tree. If you look at any picture from around 1900 of most any downtown of small towns and mid sized cities in the Northeastern U.S and New England you will see very large, stately trees lining the streets like old soldiers of all seasons. Here is a very rare sight. This tree is still alive in New England as of today. It shows the massive stature of the Elm and the content that punctuates the mood of the picture. If this tree looks strange to you, then the decimation of a tree that was once one of the most common in this area has been successful. The White Ash will most likely face the same fate in the first half of this century. The numbers are staggering. The Elm tree die off is estimated at 500 million. A lot right? Yes. 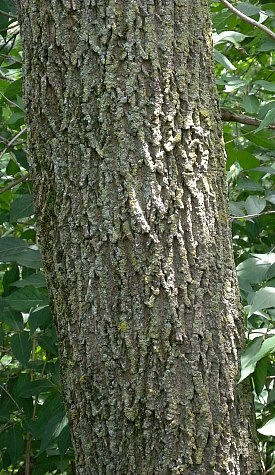 However, the die off of the Ash tree, whose range extends from Missouri to Georgia up to New England and Nova Scotia, is expected to be around 7 billion. They are also going the way of the Chestnut tree, which was decimated in the mid 1800s. You can still find very small ones in wooded areas, but they die off before maturity much like the Elm. Outside the house where I grew up we had several White Ash trees. There is only one left now. In fact the streets were lined primarily with them after the Elm die off from the 1930s to the 1970s. Now unfortunately, invasive species are once again destroying our part of the world. One Ash tree in particular, one of about 70 years old at the time, stood tall outside my window on the 3rd floor of the house I was raised in. I loved that tree. On a summer night the sudden rustling of the leaves perhaps foretold of a rare nighttime thunderstorm. In the Autumn, it was a yearly masterpiece. In Winter, it stood tall as a guard…….I would sometimes sit by my window and just stare at it for an eternity. Usually in the evening. By 2001 the tree was dying. My father was to cut it down and I knew I had to say goodbye. I was glad I was going back late that summer to college. I would be away in its absence during Autumn. An absence which felt quite wrong. One cool summer night I rested against the wooden window sill. I started to dream……. And then I asked the tall soldier planted firmly and born of the deeds by mine before….how have the years that have passed you treated you? I rested against the sill. A gentle easterly whisper of a breeze came through the leaves, rustling them, as the cool air met my face. I heard a faint voice in the serine summer night under a bright moon…. The bitter chill of winter is waning. The snow is melting and the thick ice covering lakes and ponds is slowly losing its coverage. Spring is breathing its breath of revival on to this land. It is the time of year associated with falling in love. However, there are disasters which can occur, and do occur, to mitigate any revival of Earthly seasons. Outward appearances may be green, but a knife through the heart is a spirit locked in a barren frozen unforgiving winter. 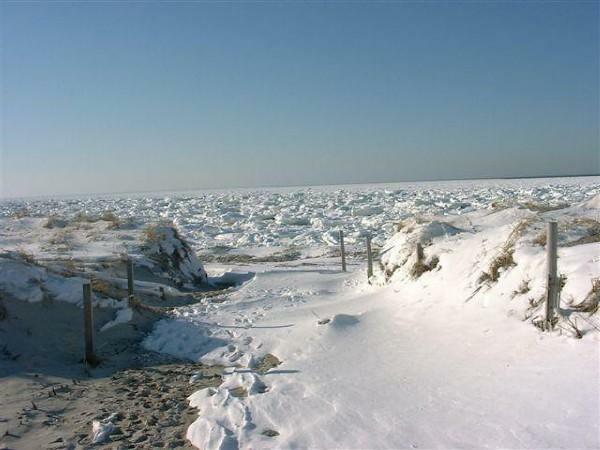 The intent is not to bring anyone who reads, down from happiness, but to cherish what you have and realize that any seasons expectation can turn as nasty as a Nor’easter on Nantucket. Do not live in the past, but do not ever forget it. The past is the culmination of the reasons why you are where you are now and why things are the way they present themselves. The following, is about someone I foolishly believed cared for all aspects of me, not just a couple…in April of 1999. It is so far away now, I suppose it is akin to being in the full sun at Noon, and now looking at this memory as a faint twinkle light years gone by. Do not fear, I do have the capability for a very good Spring season….and will be writing about those moments when the time is right. Come with me as I describe a morning many light years away……. The piercing alarm graced the heavy morning air in a most awakening manner. She quickly ceased its roar. Coherent enough to stop the noise, but not so much enough as to utter a word. I would have to be the sound on this cold spring morning. I rose from the bed careful not to disturb her and her land of restful reality still living. I touched the floor with my bare feet. It bit at my toes as I focused my eyes under the spell of a mild headache. I could not recall any details of my dreams. There was only the essence. The emotions they left by as trace evidence. Ghosts. I had the feeling of being tormented by something enveloping my current reality. Yet, no matter. I had to forge ahead on this new day. I was in motion yet my heart seemed to be moving much quicker in an uncertain pattern-less flutter seemingly controlled by her indiscriminate random actions. So now she still rested as I stood on the icy floor. Yet even her stillness stirred the absence of a word. A word spoken, or the hoping to hear it, now seem the most wanted aspiration. I had extended the loving greeting in an audible manner, as if an olive branch. Although there had been no war, only the victory of trust in someone I saw before as….”her”……. Her silence was a pointless war handed to me as dead wood. I seemingly prayed for the gracing of any communication as if she was the almighty. Prayers unanswered……or perhaps even worse…they were? I spoke words over the small Spring morning river of tears flowing from the windows of my soul, at least I was told that is what my eyes were. She said it. I cannot recall if I heard my words. I cannot recall if she did either. It is hard to recall when all attention is to pain sensors over ones body, as the heart begins to crack in the realization of defeat. You desolate detested ache beckoning rain. Such a disgrace brought upon this sapphire blue sky in mid April. Inhibited of any clouds whatsoever. The young sunlight of promise danced its life giving waves through the crystal clear air. The wind was a gentle softening breeze finding its way to my face through slightly opened window. The sunlight kissed my lips in a room polar cold. The spectacle was simple but one sees much when there is nobodys words to hear. Nature’s correct silent and detectable song to every persons own. April screamed its greening revival self. Yet she slept. I lowered myself to her level near the bed, touched her forehead which was pleasantly warm and full of unknown dreams of her own. Dreams I wished badly to know. This may be the closest I would ever come. My hand touched while my heart stepped back to shield its tired. war torn weakened beat from any more detrimental, unintentional emination of infatuation laced with a smiles flirtation because in the end I was wrong. It was my flawed evaluation. I was taught to find love, cherish the girl. In my romantic period Summer afternoon vision of love I was never told that it was easier for people to be used. What matter is it to him and of his heart sending pain signals so intense that the sadness could be felt…..for it was of no matter. It was time for me to slowly leave. 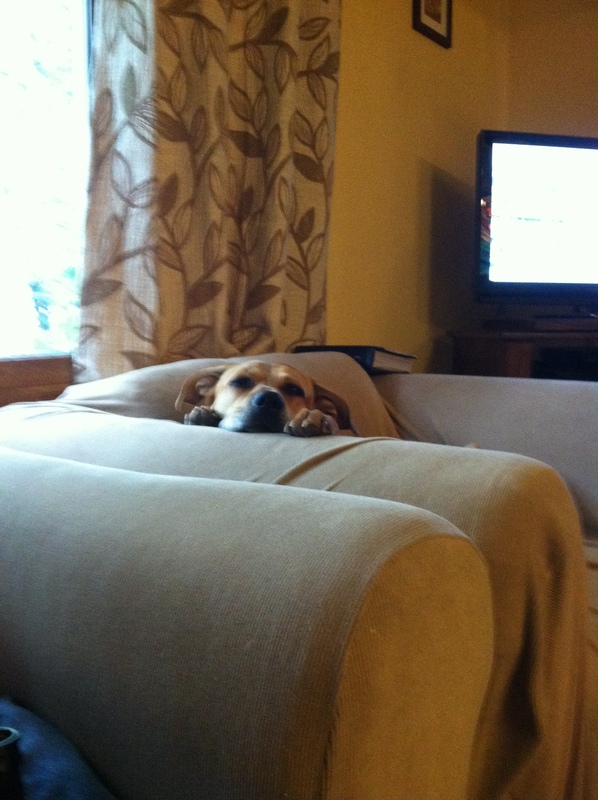 I stood up, glaring at the face at ease in a warm content. Why in the hell was I not the one? If I were so praised, told so by her. If I were so much of a light, as said by her. I dreamed of a day of possible promise in a very faint sigh. I drifted between linear and non linear increments on the floor. Once I left I would be on my way….. I opened the door. The hallway greeted me. It also shielded me from this new days light as I left my dreams and efforts behind. I drove far. Very far. South. During my drive that morning, somehow the landscape seemed, the towns, Vermont, and quite possibly even parts of New Hampshire just seemed tired of it all. Somehow that morning the White Mountains seemed quite small. Unfeeling. Tears affected my vision. Why couldn’t she say the words? I screamed in every dimension of space and time. Is everything I know wrong? The sensitivity just punishment? Doesn’t the good I want to give someone out there count? Was I just a fool searching for the moon on the new moon cycle? I had made a faint light into a Sun. It was flawed from the beginning. I knew I was awake now. Thank you for reading. Many seasons later, I am happy to say I found “her”. It was NOT easy by any means……. I am still learning to better myself. She may be the biggest help. When you find the person that is your sun, and they see you as theirs, you have just created the universe. Populate it with memories like stars. Moments like planets. Make it wonderful. I like to write. I still write on non electronic wood based paper as a first preference, and it is the river of the flowing emotional memories stirred up by living, transmitted through my fingertips with a slight bit of force to a keyboard. I have bottled written thoughts on paper…. pieces of time in large envelopes sectioned off by units of time. This has been occurring since 1993. What was the catalyst for this decision? I do not know. However, I do know the result of this decision. I like to think of my writings as contained in a year. My year is not marked by the bookends of the bitter times of the calendar, January 1st to December 31st. My writing year begins in September and concludes in August. It has always been this way. The oncoming breeze of fall in September as the whisper of arctic chill and diminishing sun begin to turn the trees a splendor. Through the dead cold of November, the magical Christmas blanket of white in December…..through the melting snow and ice of March as the green of April gives way to renewed hope and dreams seemingly as real as a summer thunderstorm. Each envelope when opened is a telling tale of what my life was like, what my fears were, and what made me feel wonderful. The picture of a bright spring day in 1999 rises like a Phoenix and is instantly recalled. The feelings are remembered. People long forgotten are remembered. Heartbreak wanted so badly to forget, hits for a moment like a needle. Reminding me of lessons learned and not. It all comes back. I find that as much as I think I know why I am who I am today, any reading of articles in whichever envelope time will rekindle emotions so strong that the present, feels like the past.